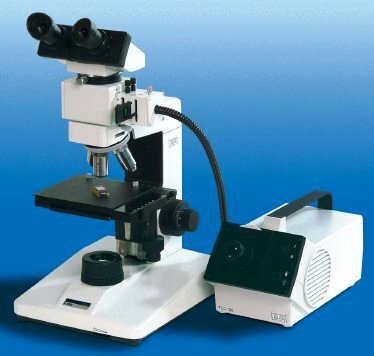 Our Metallurgical Microscopes are having the best optical quality . 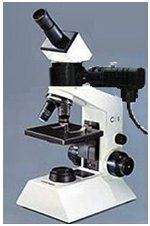 Used for ASTM grain size analysis for steel, Copper, Nodule count, Phase analysis and for surface analysis of metals in industries. Special automatic analysis sofware is adapted to these system. Focusing System: Co- axial Coarse & Fine focusing . Trinocular Head available for Microphotography. SEND YOUR QUERY Polarizing Filters . Dedicated to industrial quality control incident light for investigation of metals , ceramics and composite materials. Tramitted light for transparent or powders. Available as incident light or incident/transmitted light version . Wide range of long working distance objectives. 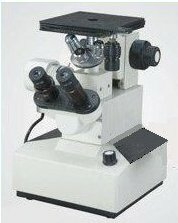 Economic Metallurgical Microscope for Metal surface analysis , Measurement of Grain size, Capturing Images for report making, etc. Mechanical Stage: Doubled layered Size 180 X150 mm, low drive co-axial stage having both X & Y axes , Power supply : 230VAC, 50Hz. Focusing System: Co- axial Coarse & Fine focusing based on a 4 stage gear reduction system traveling on ball bearing guides. 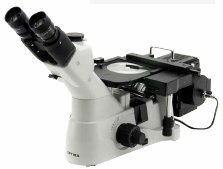 Mechanical Stage: Size 120 X120 mm, low drive co-axial stage having both X & Y axes Trinocular Head also available for Microphotography. 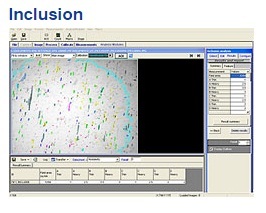 We are Authorized Distributor for METAVIS Metallurgical Image Analysis Software. The MetImage LX is an Image Analysis Software which enables you to analyze images captured from microscopes to obtain specific measurements that include caliper measurements such as length, areas and distances and counting and classifying objects, particle sizing, particle spacing.